Just got back from 5 days of racing at the NHMS Loudon Classic in New Hampshire. Tons of bikes, stunt shows, concerts etc. I stayed mostly in the track infield. 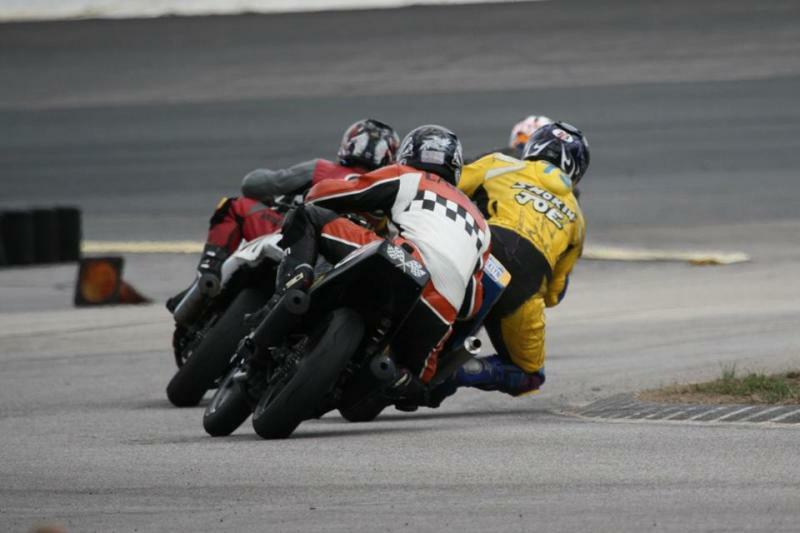 Had some great races, my ptwins race was so close you could throw a blanket over the top 4 of us. Our lap times only a second apart & we all led. I actually got crashed out on the last practice on sunday by a rider who had just caused a red flag by taking out another guy. He got the inside line, then cut across his front tire, hitting his brake lever. It happened just feet in front of me at speed. Worst crash I've seen in a while. Multiple injuries. Oh yeah, its LOUDON classic. Cant edit the title I guess. Last edited by smokinjoe73; 06-18-2013 at 07:43 PM. Pretty cool picture Joe, do you have more of them? I hope you doing fine and didn't suffer any injuries. Hey, even though I told you to p*** off in the other post, I hope you are OK after the crash. Beautiful place to be this time of year. Sorry to hear about the crash.